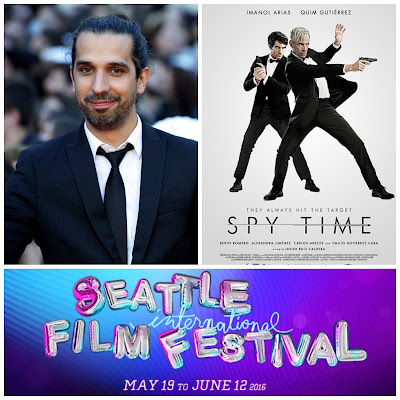 I recently had the opportunity to sit down with film maker Javier Ruiz Caldera, who was in town from Spain for the 2016 Seattle International Film Festival, and we were able to discuss what went into creating Spy Time aka Anacleto: Agente Secreto, his latest action comedy film. At the conclusion of the festival, Caldera was presented with the Best Director award for this year's festival which made the timing of this interview even more special. Spy Time is a spoof of the super spy genre with many nods to James Bond films and others like the Jason Bourne series. 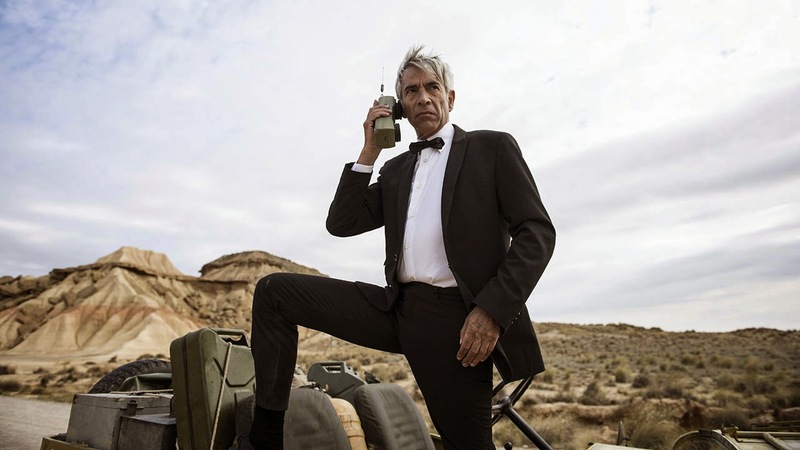 Caldera was more than happy to discuss his inspirations for the film and what it was like working with a limited budget given the state of Spain's economy. The full interview is available in the attached Youtube video and I have also transcribed it below so you can enjoy it either way. You can also check out my review of Spy Time by clicking HERE. 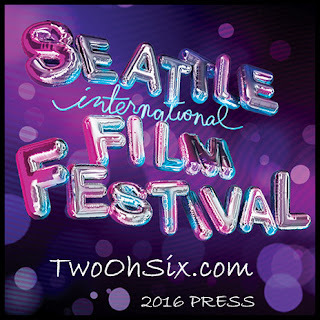 Marc: Hey guys, this is Marc with TwoOhSix.com and I am here with the director of Spy Time, Mr. Javier Ruiz Caldera. Hello, sir! M: So let's get right into the movie, Spy Time. I loved it, I saw it a couple nights ago at the Uptown and I thought it was just a fantastic movie, laughed all the way through, it got applause at the end so thank you for making the movie. From what I understand, the character of Anacleto is special to you. Can you tell me how the process of the movie came about and what the inspiration for that was? JRC: Anacleto, the main character of Spy Time, is because the original title in Spain is Anacleto: Agente Secreto or "Secret Agent" and is based on an old comic book from the 60's, 70's, and the last comic book was published in the 80's that I remember. I was missing this character that I used to read a lot when I was a kid and I was wondering what happened with Anacleto. Who is he and where is he? M: Did the comic books leave it up in the air or was there a real clear ending once it stopped running? JRC: Well, it's because there were no big stories, it was short stories like The Peanuts or Charlie Brown. There were no big adventures, it was a parody of the secret agent, it was short stories, and one day, they ended, so to do the adaptation, we had to invent a lot of things. In the 70's, the character of Anacleto was 30 years old and now we invented a person who is 60 years old, he has a son, and he has to deal with the new times and the (financial) crisis in Spain. We are all affected and I'm sure the secret agents are, too but this is not a political movie, it's a comedy. With the financial crisis, you can do a comedy and if you mix it with secret agents, that's what Spy Time is. M: Anacleto was played by Imanol Arias and from what I understand, he's a pretty respected actor and has been around for a long time, but you had mentioned during the Q&A at the screening that he was known more as a real serious actor. Had he done any comedy at all before this film? JRC: No! He's a big star in Spain and he has had the most successful TV show for 15 years, it's like the Mad Men of Spain. He's done a lot of movies with (Spanish director, Pedro) Almodóvar who is also a big star. The first thing he told me was "Javier, I've never made a comedy, I'm a dramatic actor" and I said okay, don't worry about it. I don't like making comedy in a "charicaturistic" way, you have to read the script as if you are in a serious movie and do it like that. The people will choose if it's funny or not. It depends on the script and the situation, you don't have to act like a comedian. He said okay let's try it, and you can see in the film he's a good actor...he's a great actor, and he can do whatever he wants. He told me "I'm 60 years old and you discovered I'm a comic actor, I can't believe people were laughing at my performance." He is very happy about that. M. The same sort of thing happened with Leslie Nielsen here in the United States several years ago. He was a very serious actor and then he did Police Squad which led to The Naked Gun and all types of movies like that so maybe you've created a transition in his career. It could be a good thing. JRC: You know what? My first film, is the last film of Leslie Nielsen. I worked with Leslie in my first movie, Spanish Movie, it's like Scary Movie in Spain. He's an icon of the spoof comedy. I'm very lucky because I met him and he wanted to come to Spain to make the film. We enjoyed it a lot and we had a great time. We talked a lot about his movies, the serious ones and unfortunately, he died three years later. I miss him a lot as a person because he was a genius and a great person, funny until the end, and I miss his movies. M: Also appearing in Spy Time was Carlos Areces. He was in a movie that played here at the film festival a few years ago called Game of Werewolves. It's kind of similar where it's almost like a parody of horror movies. Is that something he looks for in roles and how did you get him in to play Vázquez, the villain? JRC: My first movie, Spanish Movie, was also the first movie for Carlos Areces. We met then, we became friends, and we did three movies together. He's a good friend and he loves the genre, fantastic movies and I love these kind of movies, too. We talk a lot about fantastic and horror movies so for that reason he is searching for these kinds of films. M: So his love of movies is translating to what he does for his work. It sounds like it's very similar for you, because you have a real passion for this type of movie. Do you see going anywhere else with the characters or the property? Are there any plans for the future of Spy Time? JRC: I don't know. For me, Spy Time is one movie. It's the creation of a new hero and I never think about a sequel, if you are talking about that. In Spain it is so hard to make a movie, to think about making a sequel is too pretentious because you are thinking about success. But it had success in Spain and people ask for a sequel so who knows. Now, I'm preparing a new film, it is also an adaptation of a comic book. 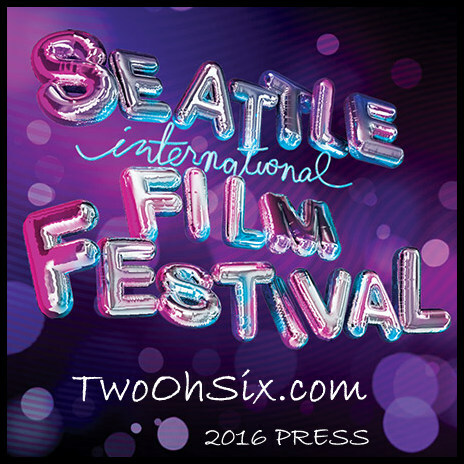 It is called Superlopez, it's a super hero comedy and I'm hoping to come back to Seattle to show you the movie. M: Are you working on that one now or will that be starting production soon? JRC: Yeah, in January or February, the shooting will happen in Spain if everything is okay. M: You had mentioned at the Q&A the other day about having to work off of a really low budget for the special effects and stunts. Can you talk about some of the difficulties or challenges that you had in making the movie? JRC: Yeah, of course. It's a big movie, but big in Spain. Because it's an action comedy, I have to make choreography for the fighting, explosions, a car crashing, and this kind of stuff. You have to do it for making an action movie, but in Spain we have a low budget and we have to deal with that. What you see in the movie is what we shot, we have no deleted scenes, and we have no second takes. If we have to crash a car, we have one shot, one opportunity, so let's shoot it and cross our fingers. Fortunately, everything was okay. We worked really hard on the script and in the shooting because we know every day has to be in the final result of the movie. M: So, it's not like you have ten of the same car lined up that you can just blow up one after another from different angles. JRC: No, I would love to do that some day but maybe I would have to come here! We have one car and it's the car you see in the film, exploding. M: There's a lot of challenges with that, but I believe that doing it that way fit the movie really well. The look and feel of the movie went really well with what you were trying to present as far as the action and comedy. I don't think you would have wanted this film to have huge special effects and all kinds of CGI. I don't think that would have fit as well with the story you are trying to tell. JRC: The main character is 60 years old and I thought that it wouldn't go well with 3D effects and computers and I love the movies with practical effects like John Carpenter movies. I feel like this character is more real and I tried to do the special effects as real as possible without stunts, with real fights, and with real explosions that were very controlled. I wanted to shoot like that because now with the 3D effects, I mean now, when I see a movie where all of it is done with a computer, I think we are missing something. I'm sure, in a few years, everything will be okay but we are not at this point. Every year we are getting closer but there's nothing like a real effect. M: While there are only a couple screenings of Spy Time here at the festival, I did see that it is available on Netflix right now on streaming so people can watch it that way. Are there any plans for distribution in the states to where it could potentially be in theaters? JRC: I didn't know. It's on Netflix in the U.S.? M: You didn't know? Are you okay with that? JRC: Yeah, of course, I'm very happy! JRC: I knew Netflix bought Spy Time for all the world, but they told me they would release the movie in countries where it would not be released in theaters. I guess that means, since it is on Netflix in the U.S., then it won't be released in the theaters, but I am happy because I love Netflix, I have Netflix in Spain. Now you can see my movie in your house and you can enjoy it. M: On that note, I'll just say thank you for making this movie and thank you for sitting down with me to talk about the movie. For everybody listening, watch the movie on Netflix, you will definitely enjoy it. Any last thoughts from you? JRC: Thank you, it was a pleasure talking to you and for the people who are listening, I hope they enjoy the film as much as you have.